Cal Poly Engineers Without Borders (EWB) is a student chapter of the EWB-USA committed to partnering with disadvantaged communities to improve their quality of life through implementation of environmentally and economically sustainable engineering projects. EWB Cal Poly is also dedicated to serving the local community as well. The Ethical Eating Club is a group that promotes ethical eating. Net Impact is an international nonprofit organization whose mission is to inspire, educate, and equip individuals to use the power of business to create a more socially and environmentally sustainable world. The Cal Poly Surfrider Club is dedicated to the protection and enjoyment of our world's oceans, waves and beaches through conservation, activism, research and education. The Cal Poly Zero Waste Program aims at reducing the solid waste our campus sends to the landfill by enhancing the composting and recycling program. 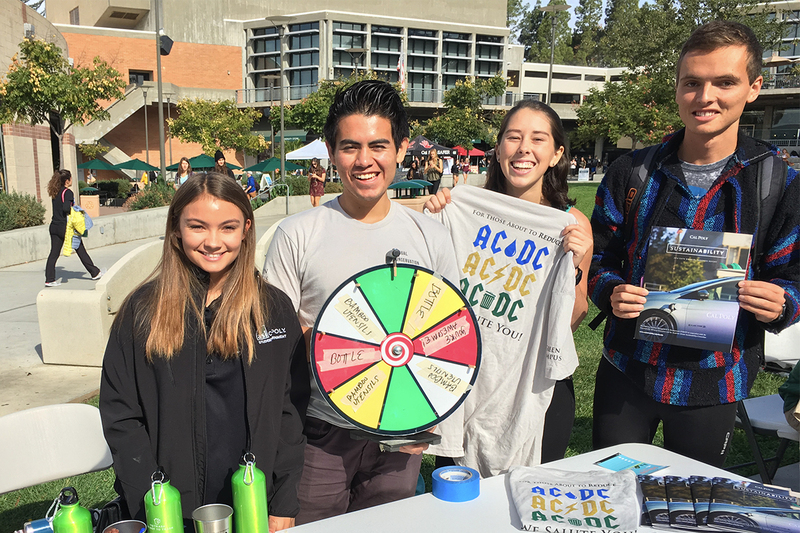 The club also aims to educate students on campus about the importance of recycling/composting and how they can practice waste reduction at home. Solar Decathlon- A small interdisciplinary team comprised of Cal Poly faculty and students from the Colleges of Architecture and Engineering, design and construct a solar house as part of the annual Solar Decathlon, a US Department of Energy (DOE)/National Renewable Energy Laboratory (NREL) competition. Design Village- In the Design Village Competition, teams from across the United States design and build a theme-based structure that meets several requirements: the structure's parts must be hand carried up a mile trail into Poly Canyon; the structure must be assembled in 12 hours, without the use of plugged electricity; the team members must live in their structure for the entire weekend.